Interviews are a very common form of data collection in case study research and can be used as a tool for both qualitative and quantitative content analysis. Interviews allow the collecting of rich, personalized information and are the primary means by which researchers use people as sources of evidence in their research projects. The interview as a method in media and cultural research enables us to find out about peoples ideas, opinions and attitudes. It might be a primary method or it may be used to gain background information. The study may be enhanced if the researcher includes just one interview with a person who is an expert in that area and can give him key information. If the study uses interviews as its primary source, the researcher will probably need to interview several people to ensure that his subjects are representative. Face-to-face and later telephonic interviews have been two major methods used to get in contact with interviewees, with the rapid growth of new media however new opportunities arise to expand interview methods in different directions. Communicating over the internet by e-mail has become a common practice, and can now be seen as a valid channel to conduct interviews as well, even though with this method the contact between interviewer and interviewee is not as direct. The online environment, such as in online open game worlds and forums for example, offer new challenges when it comes to picking a setting for the interview. Despite changes in key elements of the interview there are also practices that have remained the same, which are part of preparing, conducting and processing the results of a proper interview. Introduction of online tools and video capturing software, as well as transcription software have changed the way interviews are taken and keep evolving this type of research in to new directions. The researcher should identify key participants in the situation whose knowledge and opinions may provide important insights regarding the research question. Participants may be interviewed in groups or individually. Individual interviews might provide the researcher with significant amounts of information from the individuals perspective, but may be time-consuming. Group interviewing may give rise to the creation of new ideas that sometimes would not appear if the participants were interviewed individually; however, group interviews run the risk of not fully capturing all participants viewpoints. Identifying and gaining access to interviewees is a critical step. Selection of interviewees directly influences the quality of the information attained. The most important consideration is to identify those persons in the research setting who may have the best information with which to address the studys research questions. Those potential interviewees must be willing to participate in an interview. The researcher should develop a research guide (interview protocol). This guide will identify appropriate open-ended questions that the researcher will ask each interviewee. These questions are designed to allow the researcher to gain insights into the studys fundamental research questions, hence the quantity of interview questions for a particular interview vary widely. The researcher must draw a list of questions or topic areas, and make sure that he knows precisely what information he or she wants and what questions are likely to elicit this. The researcher could conduct interviews face-to-face, by telephone, fax, email, letter, survey or another of the new digital methods that the internet provides. It is often a good idea to first inform the potential interviewees about the project and invite them to take part. While asking questions, the researcher should only ask open-ended questions (e.g. What factors enhance productivity in this organization?) while avoiding yes/no questions (e.g. Are you happy with your job? ), leading questions (e.g. How long have you disliked your boss?) or multiple-part questions (e.g. How do you feel about your boss and your co-workers?). In open-ended questions the possible responses are not given. The researcher should limit his or her comments as much as possible to allow more time for the interviewee to offer his or her perspective. Sometimes the researcher needs to ask questions that are of a personal nature. Some respondents may find this offensive, it is important to be aware of this as it may affect the quality of information or even result in an interview being terminated. In terms of the best technique for asking sensitive or threatening questions, there appears to be two opposite approaches, namely that a question of a personal nature should be asked in a direct manner or an indirect manner. The advantage with the first approach is that one can be sure that the affirmative answer is accurate, however the direct questioning may offend respondents and hence they are unlikely to answer even the non-sensitive questions. Asking questions in an indirect manner can be done by showing drawings or cartoons; by asking a respondent to complete a sentence; by asking a respondent to sort cards containing statements and by using additional devices. The researcher should develop a means for recording the interview data. Handwritten notes sometimes suffice, but the lack of detail often associated with this approach inevitably results in a loss of valuable information. The best way to record interview data is to audiotape or videotape the discussion. Before taping though the researcher must ask the participants permission. Even though the interview can be recorded it is also helpful to still take brief notes during the process. After the interview, the researcher transcribes the recordings for closer scrutiny and comparison with data derived from other sources. The researcher and the interviewee should review the purpose of the interview, the approximate amount of time needed for the interview, and how and when the interviewee may expect to receive results of the research of which this interviewee is a part of. The researcher must adhere to legal and ethical requirements for all research involving people. Interviewees should not be deceived and are protected from any form of mental, physical, or emotional injury. Interviewees must provide informed consent for their participation in the research. Unless otherwise required by law or unless interviewees consent to public identification, information attained from an interview should be anonymous and confidential. Interviewees have the right to end the interview and should be debriefed by the researcher after the research has ended. In some areas of research interviewing can be very useful when one aims at exploring a field by having a close analysis of respondents. Interviewing allows direct communication with targets and gives the interviewer the chance to collect elaborate information. In general an interview is an iterative process, which allows the researcher to adapt the questions throughout the research. Interviews are partly structured, however every interview is different, possibly leading the research into different directions. This is an advantage when nothing or little is known about the field of inquiry, and especially when the outcome of an interview gives the researcher new insights. Nevertheless one should know the characteristics of interviewing very well in order to determine if this method is appropriate to the research aim, and to take the complications into account in order to limit bias and increase validity and reliability. The interview is more appropriate for sensitive topics - It is the most appropriate approach for studying complex and sensitive areas as the researcher has the opportunity to prepare an interviewee before asking sensitive questions and to explain complex ones to interviewees in person. Furthermore bringing the respondent into a comfortable atmosphere and letting them use their own words for describing their feelings could be valuable in getting candid data. The interviewer should take the attitude of someone that does not know anything about the topic and through this show an interest and ask additional questions. Reliable for in-depth information - In an interview situation, it is possible for the researcher to obtain in-depth information. 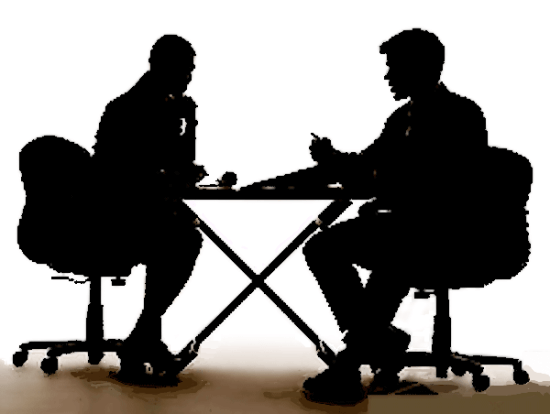 By probing an interviewer can use (non-)verbal clues to get more complete information. Hence, in situations where in-depth information is required, interviewing is the preferred method of data collection. It is furthermore an assurance that the direct feedback from a respondent assures that the answers are from the desired respondent and not someone else. Information can be supplemented - The researcher is able to supplement information obtained from responses with those gained from observation of non-verbal reactions, making a more complete image of the data . Questions could be clarified and specified  The researcher has more control about operationalization of the research question. Where in e.g. surveys the understanding of a question is left to the respondent, in an interview a well-trained interviewer is able to verify understanding and ask additional questions to reconfirm answers from respondents and increase validity. Time-consuming and expensive  Research that involves interviewing usually cannot include a large group of respondents because estimating an average interview to take about one hour, it is a relatively time consuming technique. Furthermore approaching respondents may be effortful especially when the interview concerns sensitive topics (AIDS, abuse, gender issues), also scheduling the interviews might could cause complications. Furthermore interviewers have to be rewarded for their effort, and coding process for further analysis is an intensive procedure. The quality of data depends upon the quality of the interaction - In an interview the quality of interaction between the researcher and the interviewee is likely to affect the quality of the information obtained. Also, because the interaction in each interview is unique, the quality of the responses obtained from different interviews may vary significantly. The quality of data depends upon the quality of the interviewer - As it is less likely that the researcher conducts all the interviews, it is most probable that interviewers will be used. In an interview situation the quality of data generated is affected by the experience, skills and commitment of the interviewer and how the well the interviewer has been trained to collect the data needed. The quality of data may vary when many interviewers are used - Use of multiple interviewers may result in decrease of reliability as differences in data gathering techniques might cause a difference in results. Interviewee bias  Bias is generally inevitable but interviewer bias might affect validity and reliability in a negative way. The way a moderator is dressed, feels, speaks or even his gender, can effect the answers respondents will give; aiming for high neutrality is therefore important. In this section there are a number of interviews to be found which can show how different forms of interviewing can be conducted and what the implications are for both interviewer and interviewee when certain dynamics, like the setting or used medium, are changed. This is an example of a classic face to face interview with an expert in the field, in this case the field of economics. Judging from the books in the background this interview has been taking in the offices of the interviewee. This location has implications for the interview as the interviewee feels more comfortable in his own environment. Another example of a classic interview with a respected physicist in the field. In this case the interviewer is never seen on screen which changes the dynamics in the video. One can imagine the interviewee feels more watched since the camera never seems to stop gazing at him, setting and recording usage is important here. This interview has been done solely through the use of audio recordings. By using this method the researcher only has the audio material to base his findings on, there is no non-verbal information available other then the notes the interviewer may or may not have made during the interview and as such could limit the eventual conclusions. This is an example of a media utilizing a form of new media communication. It looks like this interview has been taken through an online video streaming service. An interview made possible by using Instagram, Instagram videos can only be a set number of seconds long so this limits the questions possible to ask but at the same time introdcues a kind of necessity to be direct and to the point with the questions the researcher has to ask and formulate. A fabulous sports event assess for any cost an individual's language translation undertaking before you know it. An advanced form of interviewing with new media where multiple interviewers can show up on the screen and aim their questions directly at the interviewees. This form of interviewing could be distracting or confusing for the interviewees and even the interviewers when multiple lines of communication start to cross. Because there are different interviewers they run the risk the quality of the questions is scattered across the board. This is an example of an interview where the interviewer and interviewee exchanged questions through e-mail. Because this form of communicating is so indirect it is hard to follow-up on questions or get a grasp of the mood in which answers are given. There are many programs and online tools to aid in the interview process. Today many interviews take place through platforms such as Skype and Google Hangout. Below are links to software that may be helpful in recording audio interviews, capturing videos calls, transcribing recorded audio, transcription services and broadcasting platforms to share interviews. Make sure your recordings are legal by checking your local laws on voice recordings. In many countries, it is illegal to record someone without permission. It is advisable to formally ask for permission to record at the beginning of the call  and to record that acknowledgement. The tools below are just a selection of programs to use for recording audio in voice calls on Skype or Google Hangout. If you are conducting a video call and want to record the video and audio, the best method is to use a program that will take a section of your screen that you select and create a movie file out of it for the recorded time you specify. If you wish to create a written form of your interview you must transcribe the audio. There are a few programs which aid in this process by creating a window for easy writing while listening, as well as helpful tricks like slowing down the audio. Transcribing can be a long process which can take up alot of time. In some cases it may be helpful to have the audio transcribed by professionals, although this is not a replacement for editing. Depending on what kind of interview you are conducting and for what purpose, there are a variety of platforms to broadcast your audio or video interview to share with others. Hancock, Dawson R., and Robert Algozzine. "Gathering Information from Interviews." Doing Case Study Research: A Practical Guide for Beginning Researchers. New York: Teachers College, 2006. Kumar, Ranjit. "Selecting a Method of Data Collection." Research Methodology: A Step-by-step Guide for Beginners. London: SAGE Publications, 1996. 137-164. Marvasti, Amir B. "Interviews." Qualitative Research in Sociology: An Introduction. London: SAGE Publications, 2004. 14-33. Stokes, Jane C. "Methods of Analyzing Audiences." How to do Media and Cultural Studies. Los Angeles: SAGE, 2013. 128-153. Babbie, Earl R.. The Practice of Social Research. 6th ed. Belmont: Wadsworth Pub. Co., 1992. Bradburn, N. M., Sudman, S. Improving Method and Questionnaire Design - Response Effects to Threatening Questions in Survey Research. San Fransisco: Jossey-Bass Publishers, 1979. Burnard, Philip. A Method of Analysing Interview Transcripts in Qualitative Research. Elsevier 11.8 (1991): 461-466. Hanrahan, Kathleen, and Judith Sturges. Comparing Telephone and Face-to-Face Qualitative Interviewing: a Research Note. Qualitative Research 4.1 (2004): 107-118. Healey-Etten, V., and S. Sharp. Teaching Beginning Undergraduates How to do an In-depth Interview: A Teaching Note with 12 Handy Tips. Teaching Sociology 38.2 (2010): 157165. Roulston, Kathryn, Kathleen de Marrais, and Jamie B. Lewis. Learning to Interview in the Social Sciences. Qualitative Inquiry 9.4 (2003): 643668. Weiss, Robert. Learning from Strangers: The Art and Method of Qualitative Interview Studies. New York: The Free Press, 1994.